If you have been heating and cooling a living space with noisy window and/or floor units, we've got some great news for you: a ductless mini-split system can provide heating and cooling without the need for ductwork! If you have more than one room that doesn't have ducting, a mini-split system can still handle the job. Either more than one outdoor unit can be used, or a single outdoor unit can be used to power more than one air handler. Each indoor unit has its own controls. We install Mitsubishi ductless systems due to their innovative technology, efficiency, reliability and warranty. 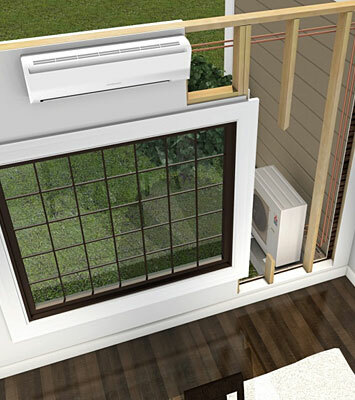 Mitsubishi ductless solutions include things like the i-see sensor, H2i for better heating and inverter-driven compressors for auto adjusting performance. See below for additional information, or call us at (850) 562-0300. 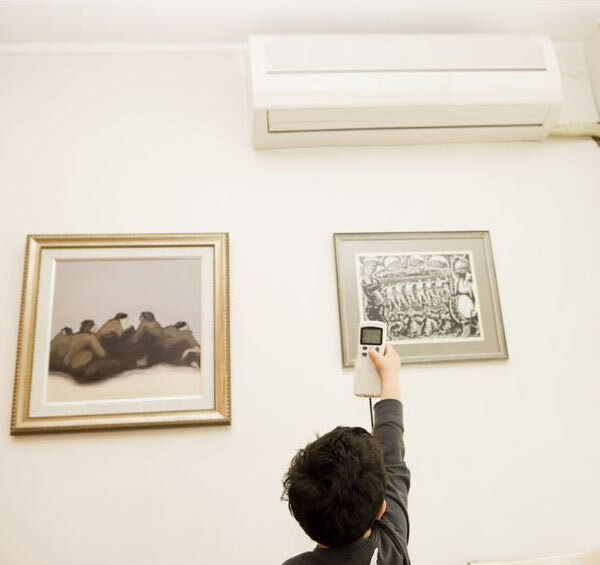 Ductless air conditioning can also be ductless heating with the Mitsubishi ductless heat pumps. However, as with a traditional all-electric heat pump, once the air drops below a certain temperature, the heat pump has trouble keeping up. Get below freezing, and it will not be able to. 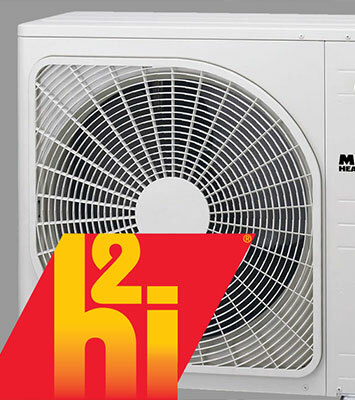 H2i technology is available on select Mitsubishi ductless systems, and provides the ability to heat effectively and efficiently even when the outdoor temp dives to as low as -13° Farenheit! Mitsubishi wall mounted air handlers are whisper quiet in operation, and come in different styles including wall mounted, ceiling recessed and floor mounted. They feature things like "Powerful Mode" for rapidly arriving at optimal comfort levels, wireless remotes and the i-see sensor. They also provide allergen filtration for cleaner indoor air. Mitsubishi indoor units lead the industry in efficient, quiet comfort! Call us at (850) 562-0300 to learn more! 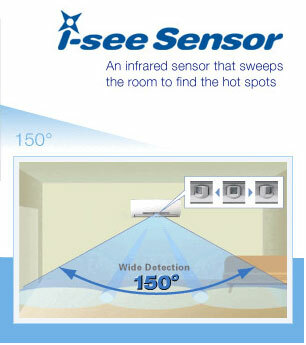 The i-see sensor is an optional accessory that can be added to Mitsubishi ceiling and wall mounted indoor units. What does it do? It measures the floor temperature of a room as opposed to only measuring the return air temperature. The sensor observes the room vertically in real time for better management of sensible temperature which is what we humans actually feel. The sensor slowly rotates 90° in five second intervals for correct, precise temperature measurement.